If you’ve had the unfortunate experience of having a loved one need long-term care, then you know how emotionally and financially taxing that can be for all parties involved. Many individuals assume that once they have qualified for Medicare (Americans become eligible at age 65), that any and all long-term care expenses will automatically be covered. Sadly, this just is not the case. Generally Medicare doesn’t pay for long-term care except for medically necessary skilled nursing facilities or home health care if certain conditions are met (medicare.gov). Unless you want to pay for your expenses with cash and risk your retirement savings, we recommend you read further to learn how Long Term Care (LTC) Insurance can lessen your financial burden. 40% of people receiving long term care services are under the age of 65. People who reach 65 have a 40% chance of entering a nursing home. 10% of those stay five years or more. In 2012, over 9 million Americans over the age of 65 will have needed some form of long term care. By 2020, this is projected to be over 12 million Americans. 42% of people over 65 reported a functional limitation. 18% had difficulty with 1-2 ADL’s, 5% had difficulty with 3-4 ADL’s, and 3% had difficulty with 5-6 ADL’s. 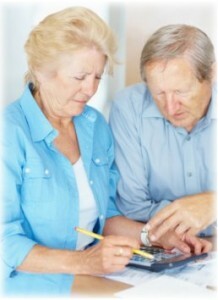 Most long-term care services are provided in the home. 42% of LTC claims paid were for Home Health Care, 27.5% for Assisted Living, and 30.5% for Nursing Home. How does an LTC policy work? The purpose of a LTC policy is to pay for all or most of the expenses associated with a chronic illness or disability that lasts for an extended period of time. Since health insurance will only pay for doctors and hospital bills, someone needs to pay the bills associated with home care or care received in an appropriate facility (i.e. nursing home). This is where a LTC policy steps in to save the day——or more specifically, to save yours assets. You are unable to perform two of the six activities of daily living (ADLs) without assistance or supervision——continence, dressing, toileting, eating, bathing, or transference. Since not all LTC polices are the same, it is important to make sure that the policy allows for the care to be provided in a variety of settings – home health care, assisted living facility, memory loss units, nursing home, and adult day care——depending on your need. Depending on the care chosen, the LTC policy will have a waiting period (i.e. 30, 60, 90 days) before benefits are paid. Also most LTC policies are written for a specific time period (usually 2 to 8 years) with a defined maximum monthly benefit. Talk to anyone who has had to pay the monthly nursing home bill for a loved one and your head will spin. The average annual cost of nursing home care in America is $72,500. That’s $6,000 each and every month until services are no longer required. Before we go any further, let’s stop to review exactly who pays that bill? Health insurance (including Medicare) will only cover up to the first 90 days of stay in a nursing home——and that’s only if the patient is first treated in a hospital and then transferred directly to a facility from the hospital. On day 91, the nursing home billing department will start forwarding the invoice to you. So, initially health insurance/Medicare may step up to the plate to cover the costs, but then ultimately the burden falls on your wallet. Keep in mind that we’re talking about “long-term” care, which means that the monthly nursing home bill could be in your mailbox for many months and/or years. Even if a nursing home isn’t your selected care choice, the other options can be just as financially straining with an average median hourly rate of $19 for a Licensed Home Health Aide, $61 median daily rate for Adult Day Health Care, and $3300 monthly median for an Assisted Living Facility. Curious to know the average LTC costs in your area? Visit the Cost of Care Map. After 35 successful years of working, John and Jane Doe finally settle down into retirement. They both have Social Security income and combined retirement (401k and IRA) assets of $300,000. The house is paid off, the kids are grown, and now it’s time to enjoy the golden years. And that’s exactly what they did for a decade until Jane was sadly diagnosed with Alzheimer’s. Her condition progressed to the point that it was absolutely necessary that she received 24-hour skilled care. Above and beyond dealing with the emotional trauma of losing his spouse to this horrible disease, and having to place her in a facility, John also had to deal with the high costs for his wife’s care. If her nursing home costs resembled the national average, then the Doe’s retirement assets would dwindle each year by $72,000. Since they live in the State of Massachusetts, State Medicaid laws dictate that John can hold on to a maximum of $109,000 and then his wife would qualify for Medicaid, which would then pay for her care. Let’s rewind the clock and imagine that John and Jane Doe purchased a joint LTC policy at age 65. When Jane entered the nursing home, this would have triggered a claim on her policy to start paying her monthly bill after the waiting period. In a sense, the LTC policy acts as a “financial shield” protecting their retirement assets and current cash flow from the nursing home billing department. While financial considerations cannot be understated, LTC insurance isn’t only about money. It is also about peace of mind. Having a personal LTC policy would ensure that Jane will have access to first-rate care whenever she needed it——especially when her need for care rose above the abilities of her loved ones. Vernon Duckett first heard of LTC insurance from his wife, Helen, and she had to talk him into it. Years later when Helen was diagnosed with Alzheimer’s, Vernon was thankful they had purchased the coverage. Helen’s policy paid for the best possible care until her death at age 82 and preserved Vernon’s financial independence. Watch this 3 minute video to hear their powerful LTC story. A long-term care event can be financially devastating to the assets you’ve worked a lifetime to accumulate. Let us help you understand the many components of LTC policies——waiting periods, maximum limits, and coverage terms. As your Trusted Adviser, we are committed to providing you with the guidance and assistance you need to figure out the long-term care coverage that makes the most sense for you. If you would like a complimentary LTC analysis to better understand your options, please contact us: 800-95-TOOLE or riskmanagement@tooleinsurance.com.